Kathmandu, the capital of Nepal, is a chaotic city with constant traffic. Cars, bikes, scooters, buses, tuk tuks, people… and definitely not enough sidewalks. It doesn’t matter where you are, there’s always someone honking or rushing near you. 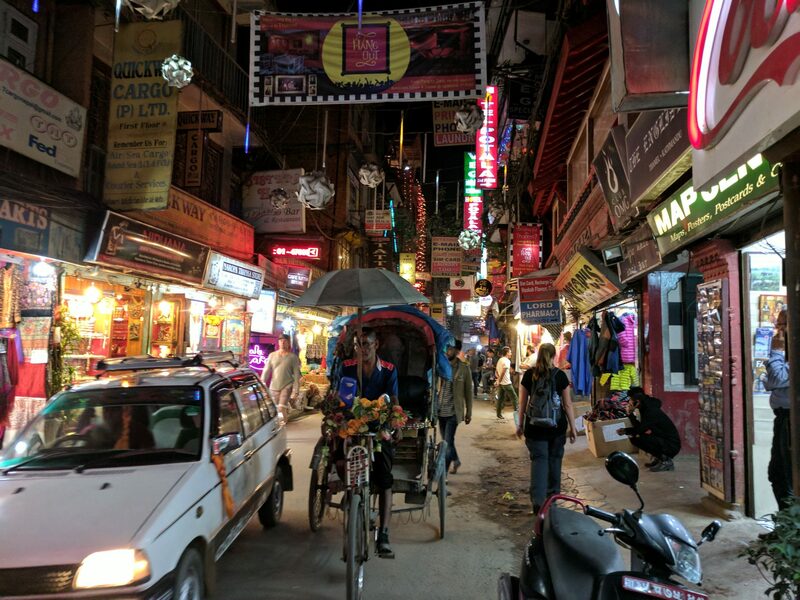 However, this vibrant city is also full of markets, restaurants, trekking shops, handicraft shops, beautiful alleys and squares, a great place to get lost and enjoy the city. 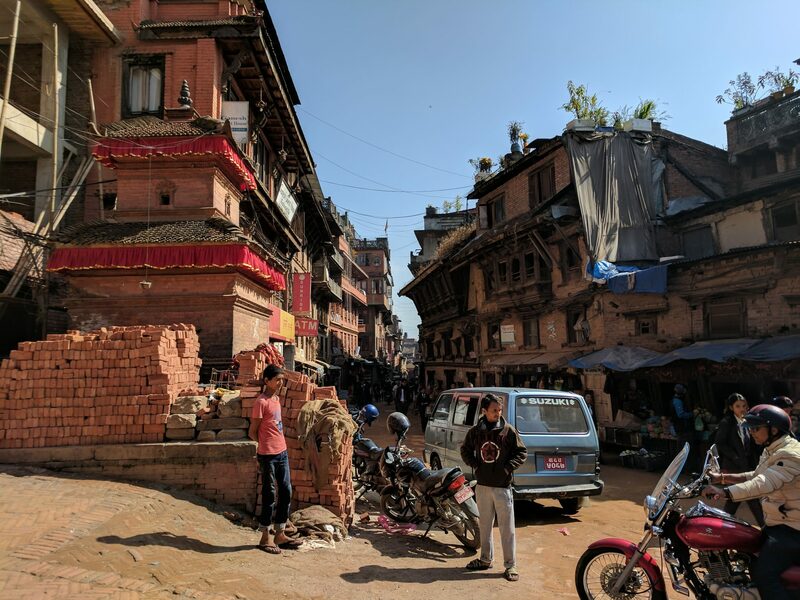 Once you embrace the chaos and just go with the flow you might end up loving the unique character of Kathmandu. 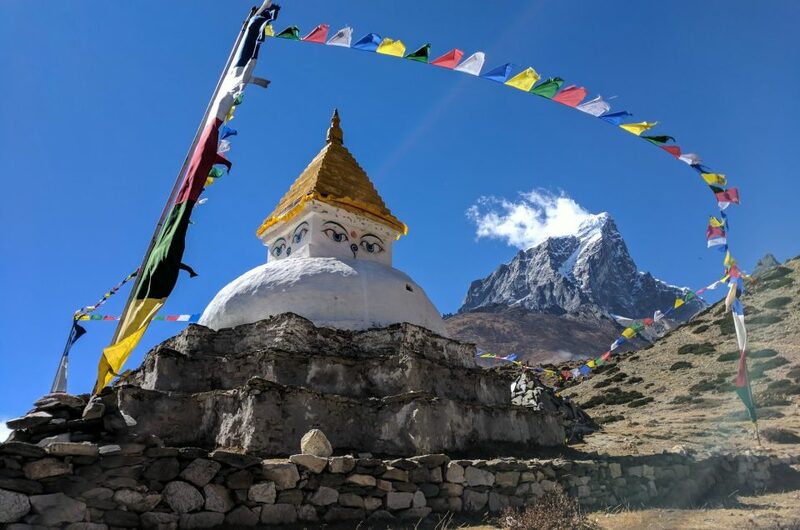 If your time here is limited, maybe because you are here to prepare to do the Everest Base Camp Trek, there are a few key places where you can go. I spent almost a week here and explored most of the main sights of the city. This three days itinerary should definitely be enough for most travellers that just don’t have as much time in this beautiful city. Start by going to the most famous sight of Kathmandu, and also a UNESCO World Heritage Site, Durbar Square. Sadly it was heavily damaged in the earthquake of 2015, but there’s still a lot to see. Getting there is really easy since it’s in a very centric location. However, keep in mind that you have to pay to get into the historic centre of Kathmandu. In 2017 it was 1000 rupees, around 10$, but it might be different now. The money is used to fund the preservation of restoration of the square. 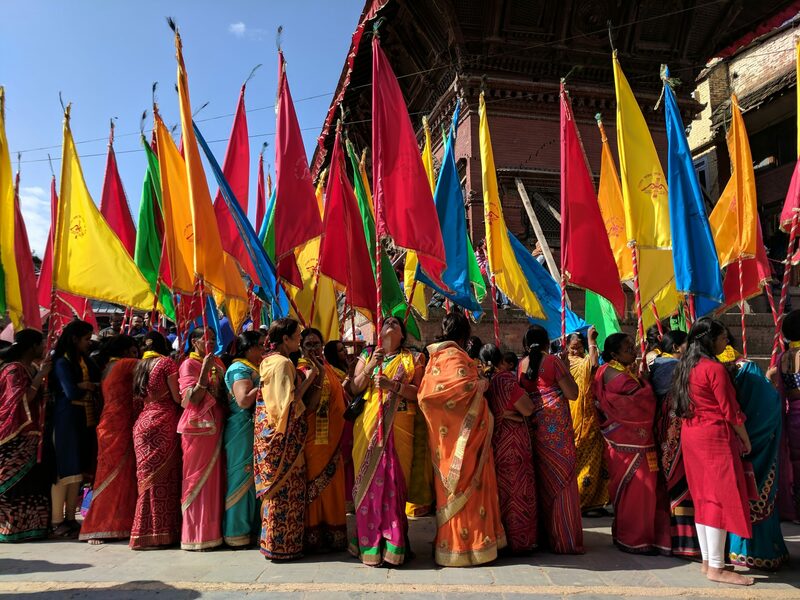 Durbar Square is full of things to see. Just walk around looking at the beautiful temples and stupas or watch the locals pray there and. If you are lucky or you prepare your trip in advance you might even see one of the many festivals they celebrate each year, like Dewali. After some time in the square and a quick lunch head to Thamel District for the evening. This crowded area is where all backpackers usually stay. It’s very beautiful in the evening, where all the lights and neon signs shine in the darkness. Thamel is the perfect place to buy handicrafts, souvenirs or trekking equipment if you are going to the Himalayas next. I love walking the district, it has a unique feeling and so many things to do and see it’s impossible to get bored. It is also filled with all sort of restaurants, so having dinner there is the perfect option to end the day. 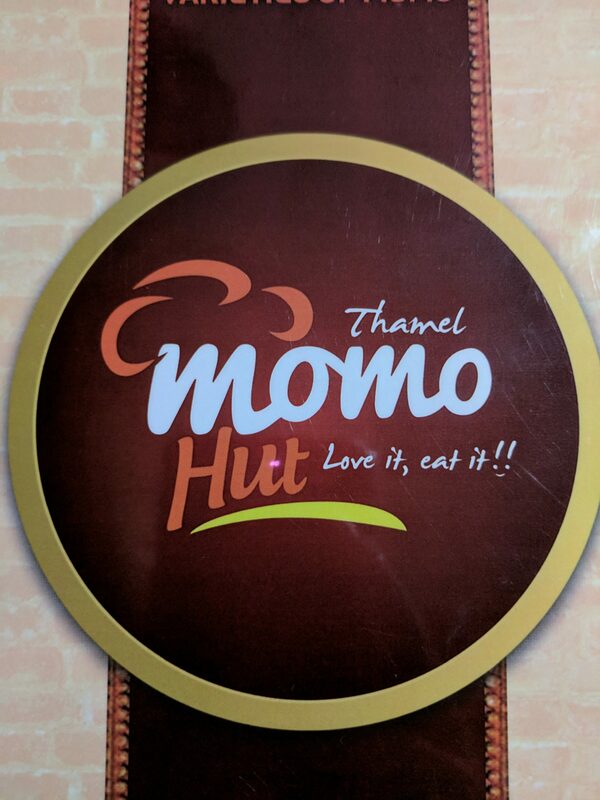 I personally feel in love with a tiny one called Momo Hut (pun intended). They served all kind of momos, or Tibetan dumplings. While the classic ones were available, like beef or veggies, where available, they also have all kinds of new and weird ones, from cheese to bacon. The best way to start the second day is visiting the Kopan Monastery. 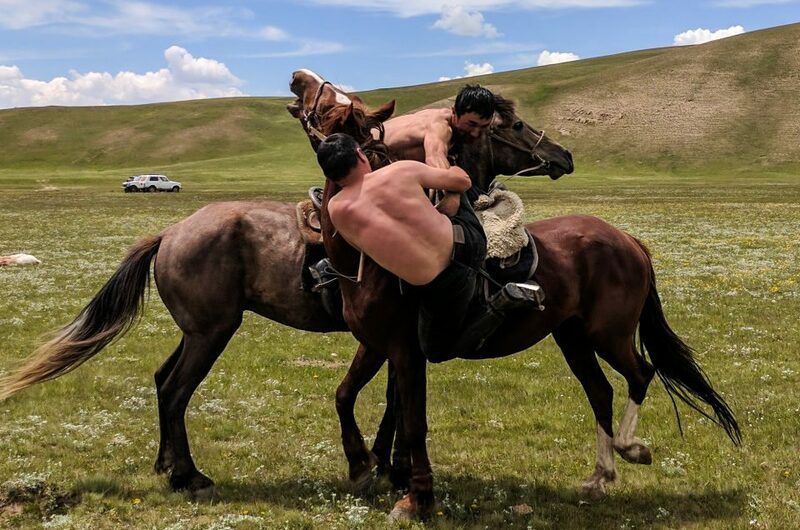 It’s a bit out of town, but a cheap taxi will get you there. This monastery is well known not just for its nice location where you can get a decent view of the city, but also because it’s open to travellers. You can visit it freely, go to the library, get some books and start reading. You can go to the gardens and relax. And, the most interesting part, you can stay there for a few nights and even join some of the Buddhism introduction courses they offer, or a meditation retirement. 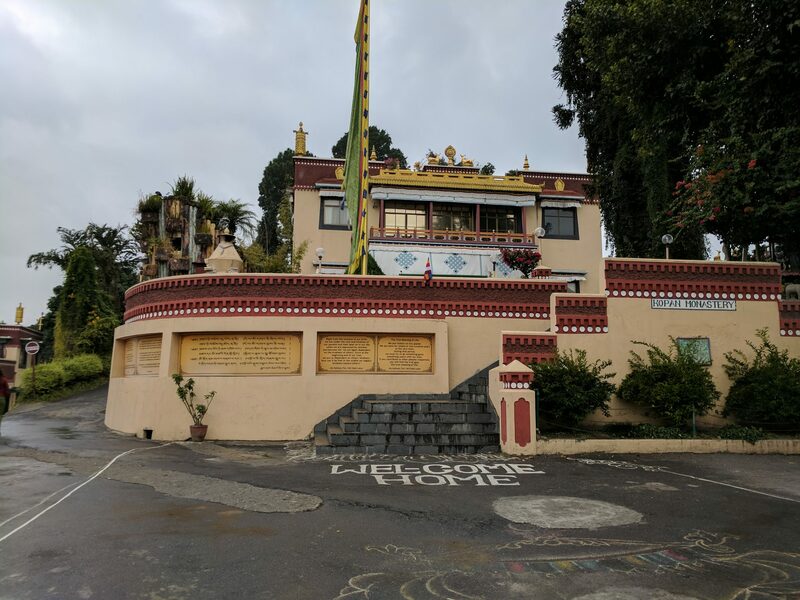 If you are not interested even for those who just want to have a look at how a Tibetan monastery works, this is a great opportunity. 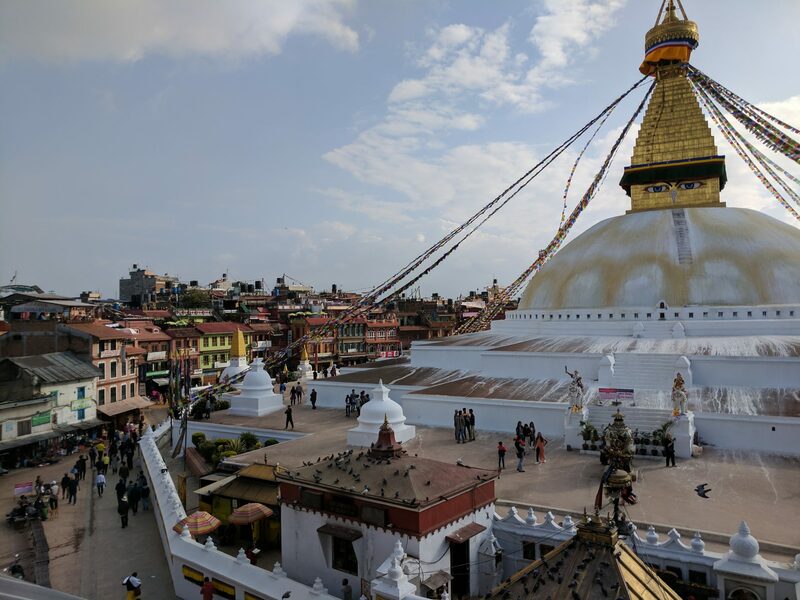 From there you can take another taxi, but also easily walk, to the Boudhanath Stupa. This huge construction takes the central position in a beautiful square that looks nothing like the rest of the city. It is one of the biggest ones in the world and a UNESCO World Heritage Site. In order to get there, you have to pay a small entrance fee, but the square is so incredibly beautiful that it worth it. Feel free to explore the buildings and shops around the square or go inside the Stupa to get a better view. This is also the perfect location to have lunch since there are plenty of options. 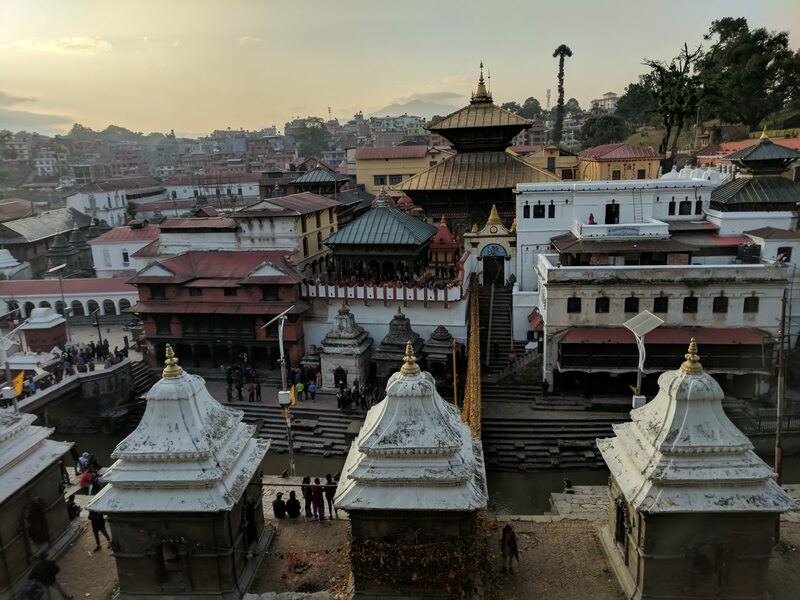 Finish the day going to the Pashupatinath temple, the biggest Shiva Hindu temple in the city, a UNESCO World Heritage Site and a great introduction to the style and architecture of this kind of buildings if you have never seen one yet. This huge complex takes a while to explore, to the point where you will find people offering themselves as guides. Of course, hiring one of them is up to you. Here you can see all the traditional rituals, from people washing in the river to burning their dead. Please, be aware that the families doing it are in a funeral, and it’s extremely distasteful and disrespectful to take pictures of the burning bodies, even from far away. It’s also important to know that unless you are a Hindu yourself you won’t have access to the whole temple. Some areas are restricted, including the main building, but you can still get a very nice view of it from the outside. 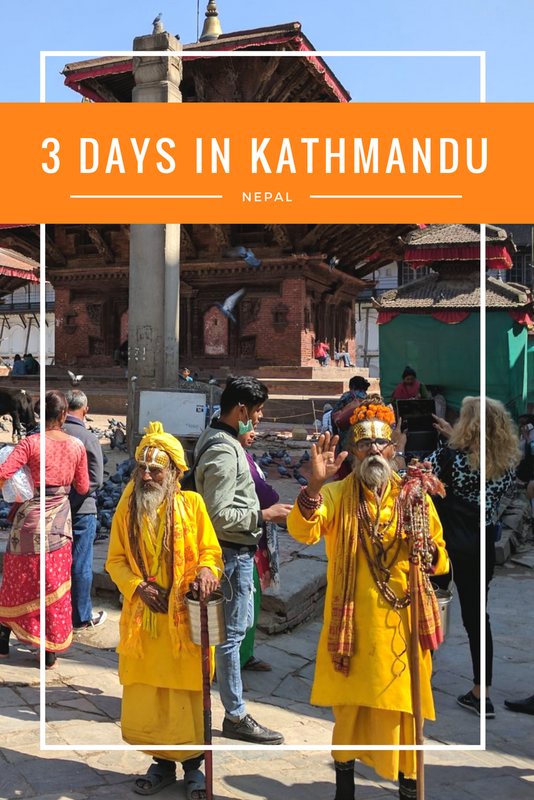 While Kathmandu has a lot to offer and there are plenty of things to do there, Bhaktapur is just a few minutes away by bus from the city and can easily be done as a day trip. 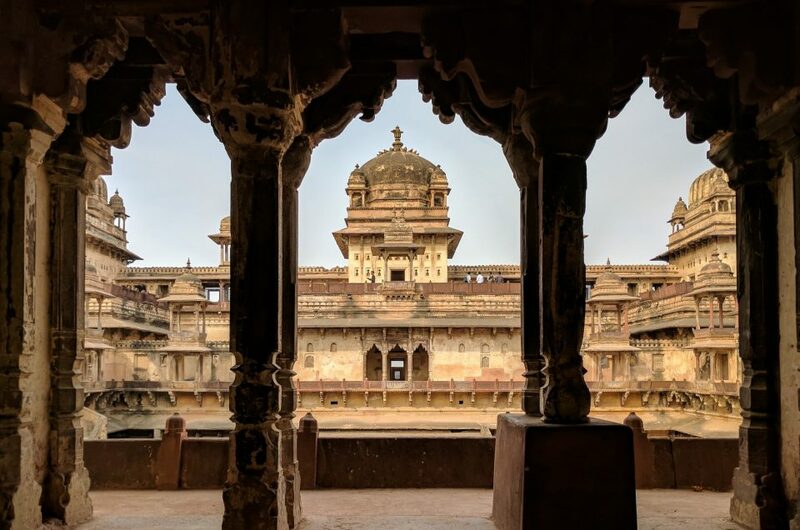 This city is yet another UNESCO World Heritage Site, and it has some of the best preserved traditional buildings from Nepal. The bus is extremely cheap and runs frequently. Ask the locals where to take it, and which one is it since the lack of signalling makes it almost impossible to find out by yourself. 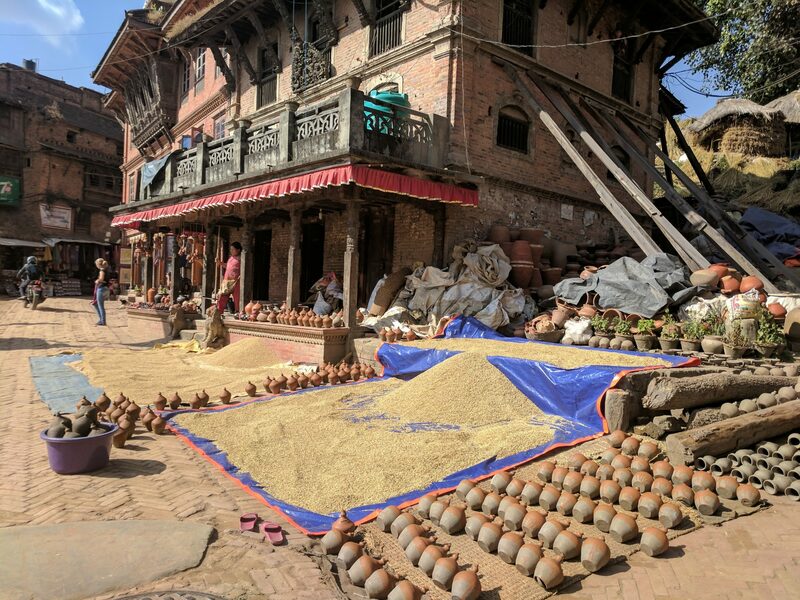 Once in Bhaktapur, you will have to pay an entrance fee to get into the historic centre. It’s probably the most expensive one, at around 15$ in 2017. The town centre is absolutely amazing, with old wooden houses, pagodas, temples and beautiful buildings everywhere. 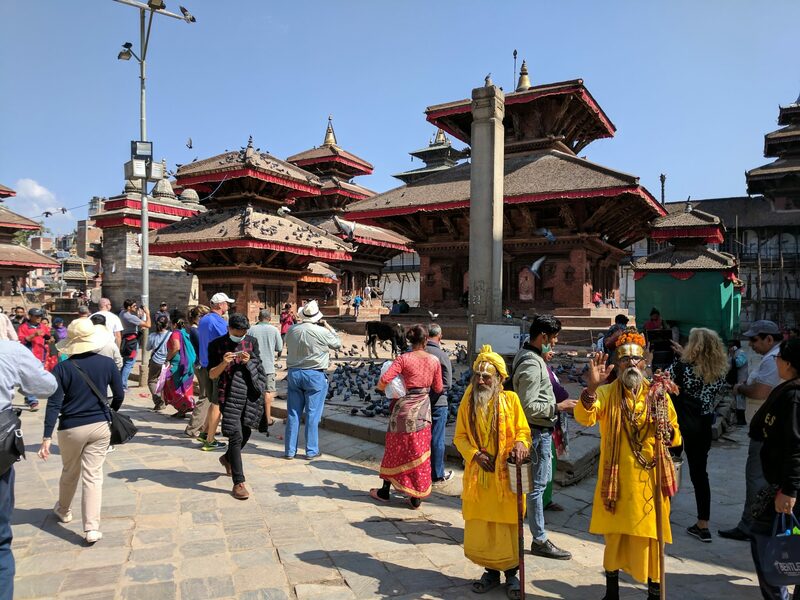 Don’t miss Durbar square, the Nyatapola temple with its huge 5-story Pagoda, the Bhairab Nath Temple or the Dattatreya Temple. Of course keep an eye open for all the metal, wood and stone architecture that makes the city famous, as well as all the tiny sanctuaries. I personally loved the pottery square, where you can see locals doing the hard job of pot-making, with several shops selling the final results. Bhaktapur it’s just a great place to wander around, you’ll discover something new in every corner! Once you are back from your day trip you can visit the small and cosy but beautiful Garden of Dreams. 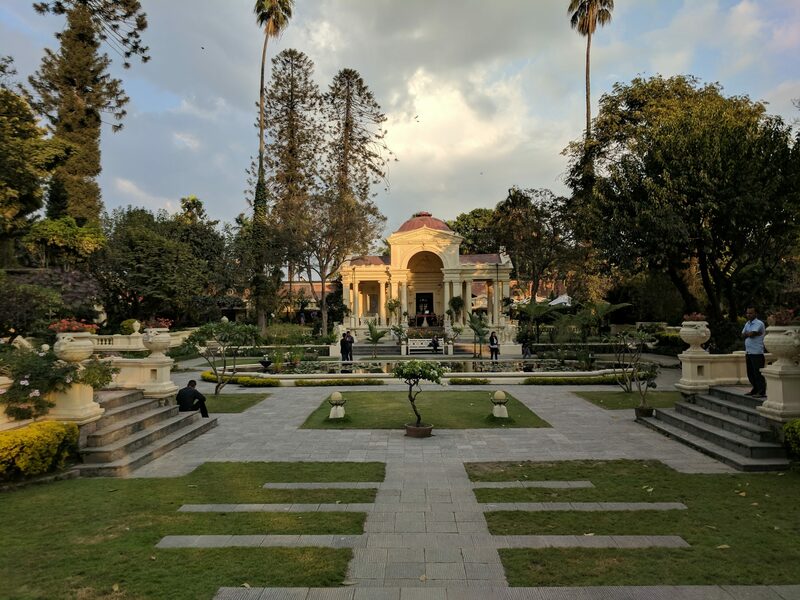 This beautiful neoclassical garden built in 1920 is very close to Thamel district and it’s a good way to say goodbye to Kathmandu. You can get a pretty good dinner here as well, although fairly pricey (for Nepalese standards), at around 15/20$ when I was there. Kathmandu is one of my favourite cities in the World. Besides the chaos and the constant traffic, the beauty of its main sights and spirituality makes it a unique place to visit. I hope this itinerary helps you with your time there, and don’t forget to pin it if you liked it! If you liked it, Pint it!